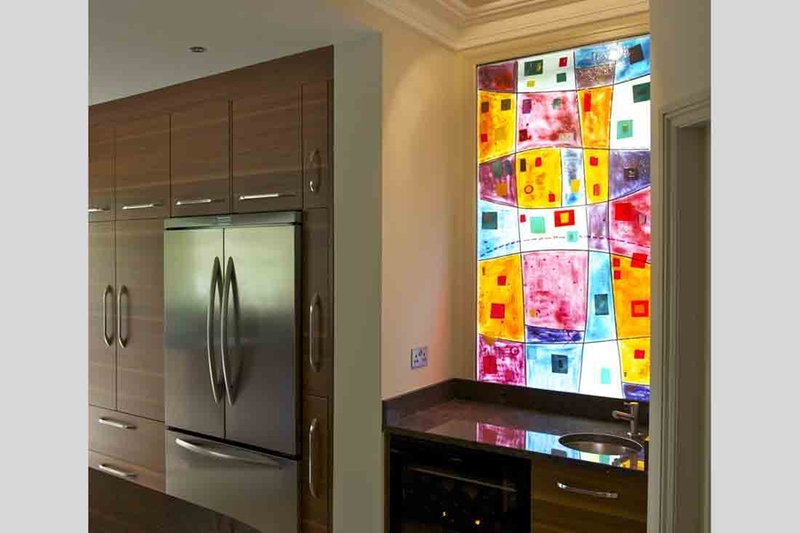 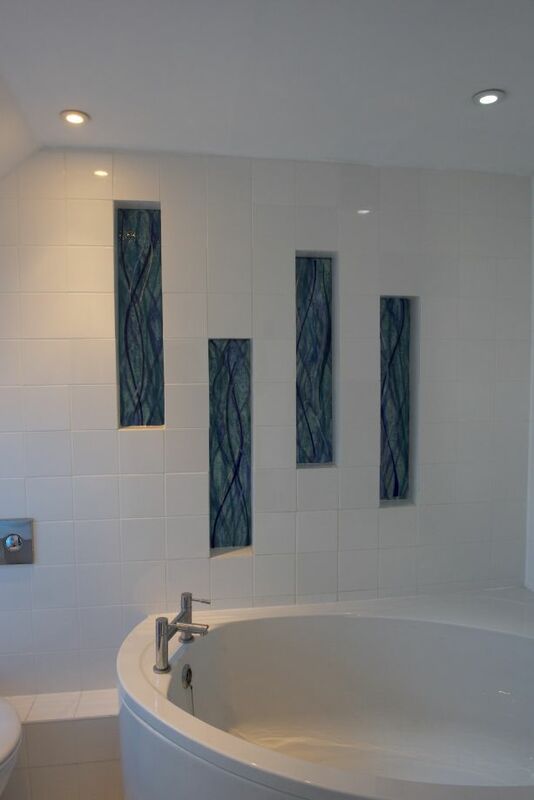 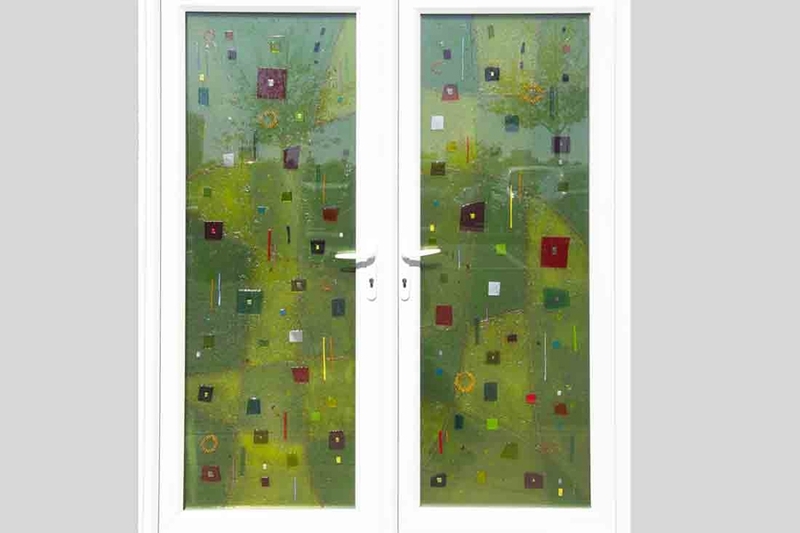 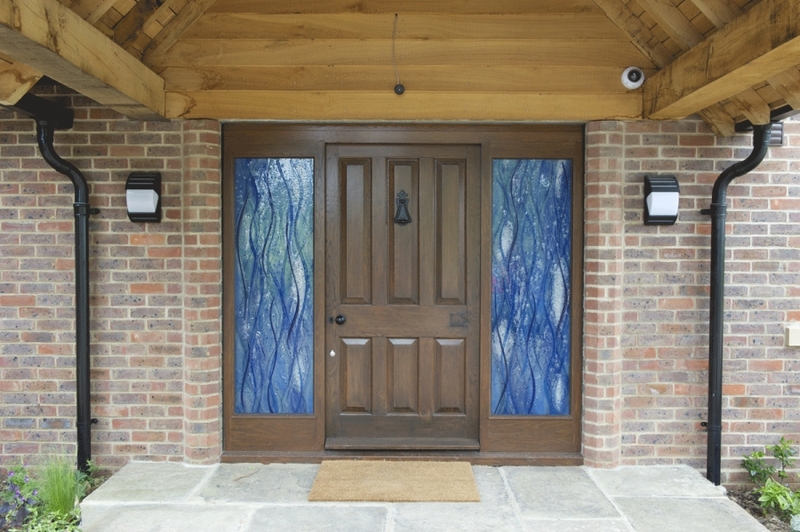 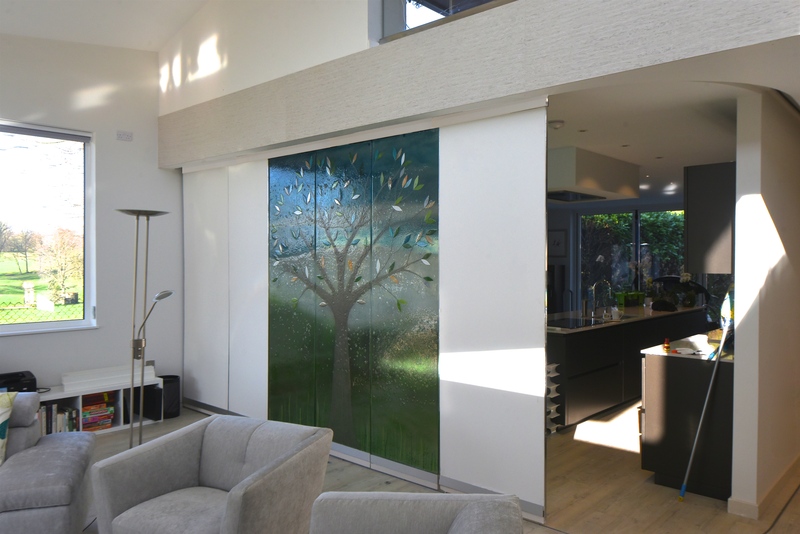 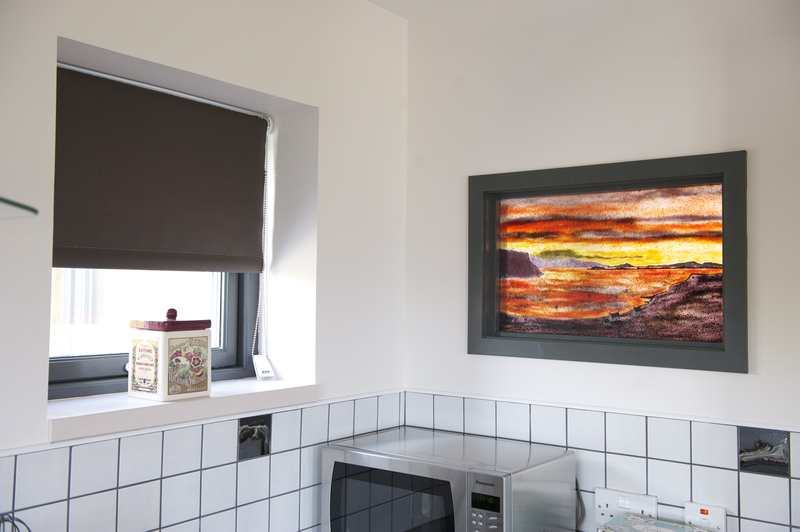 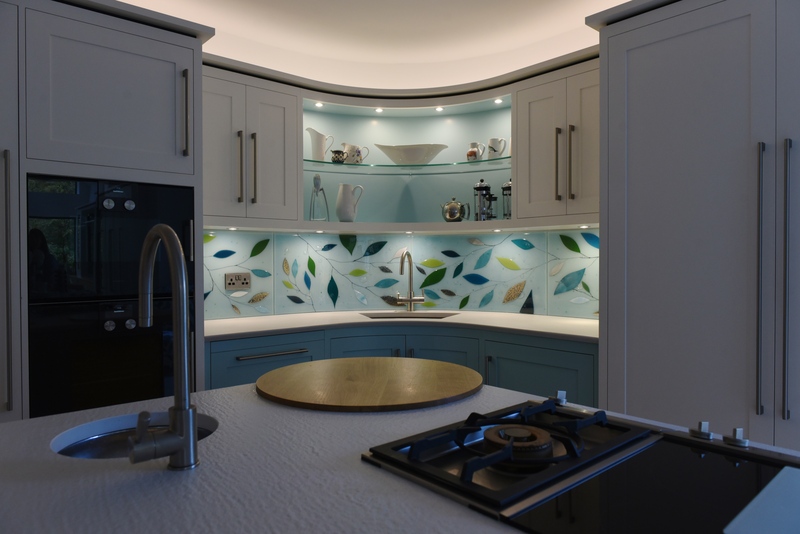 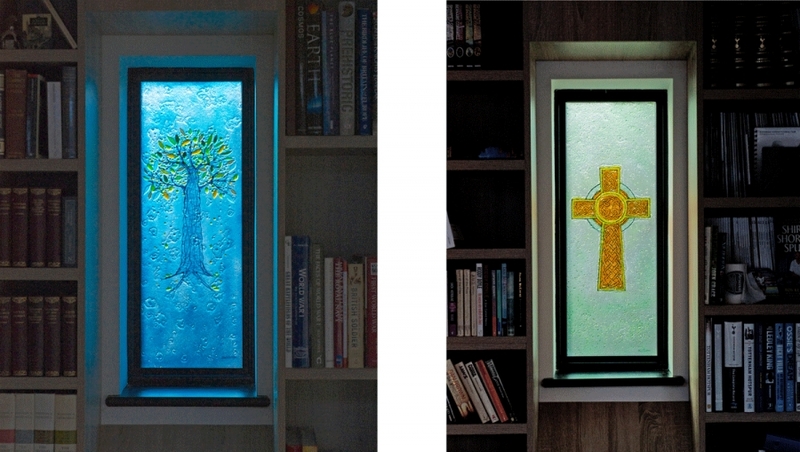 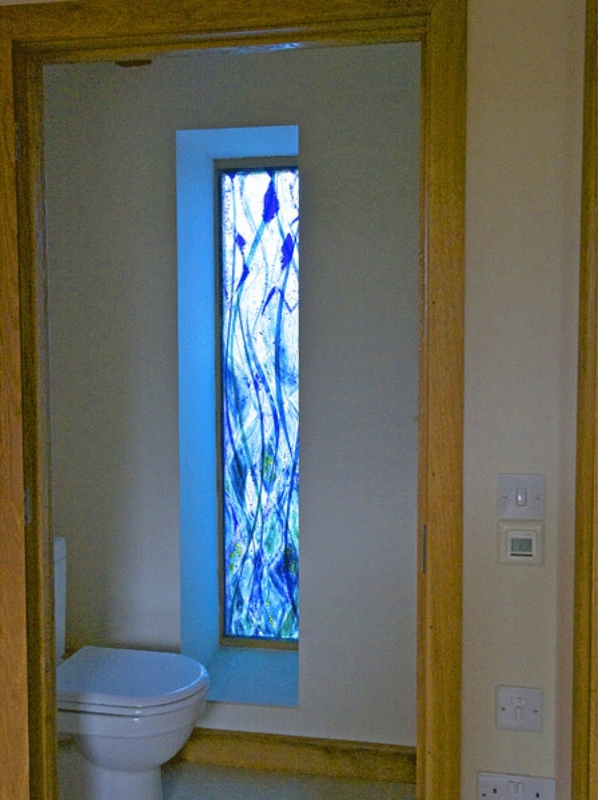 The 2 fused glass art windows are a strong feature of this traditional country home. 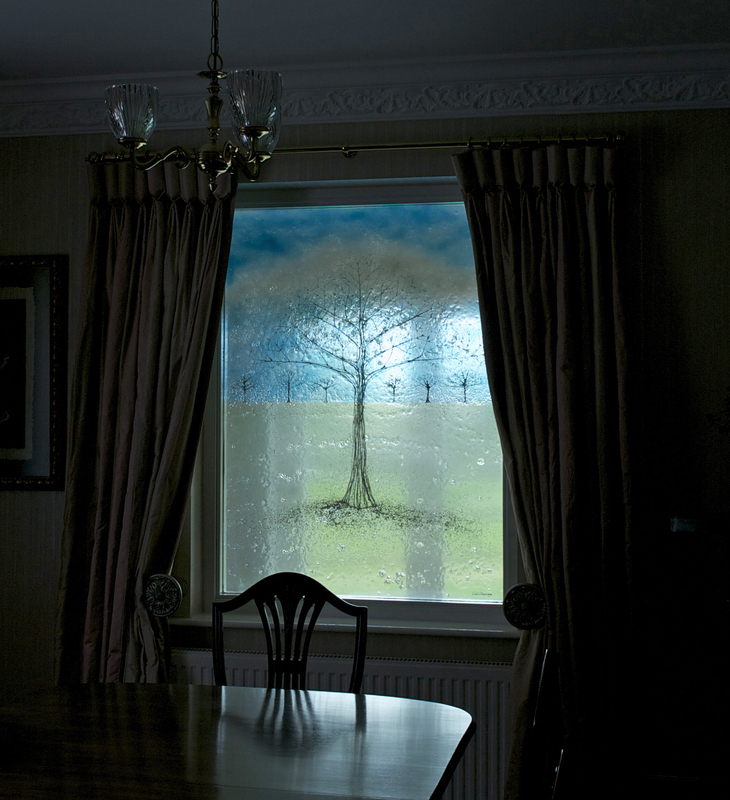 The made to order windows have been fitted infront of the existing windows. 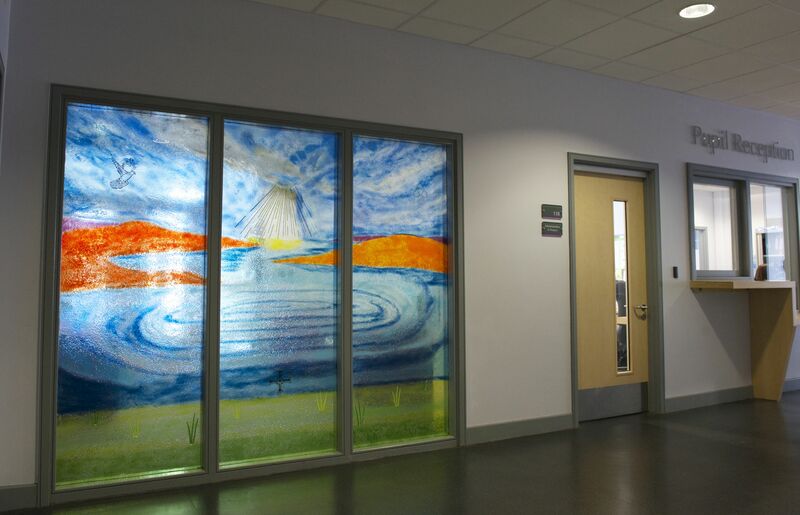 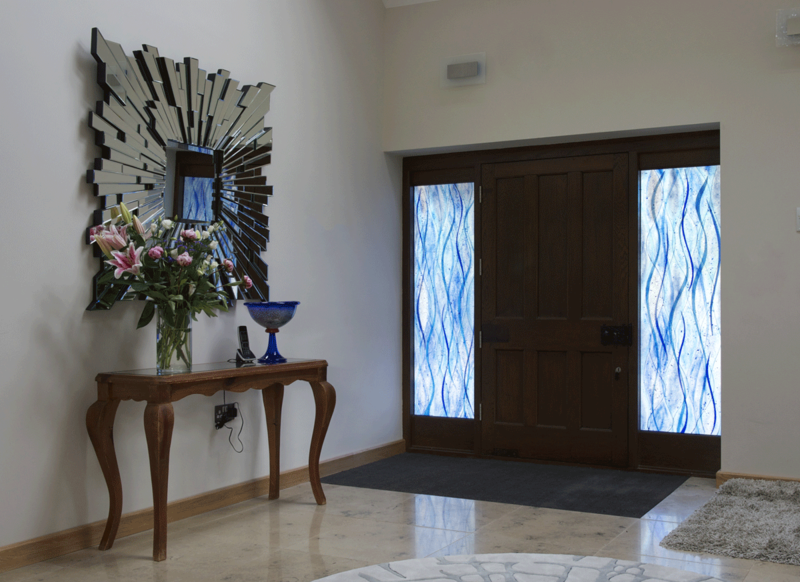 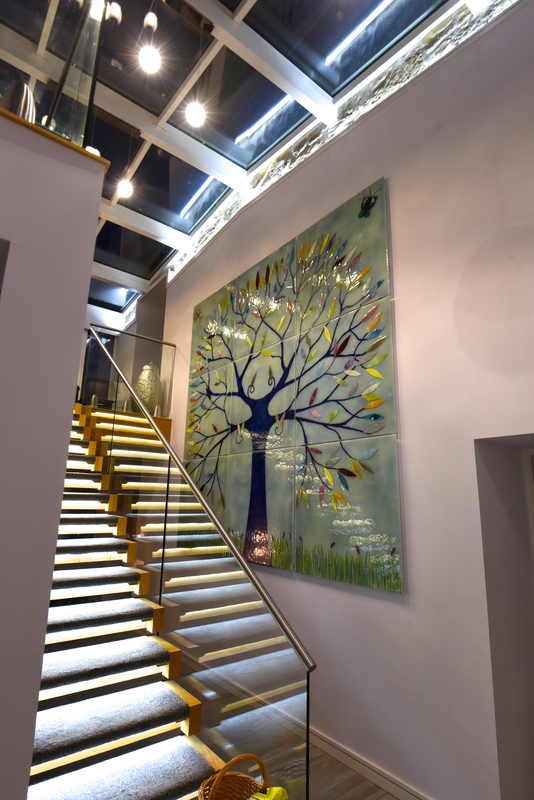 The stained glass effect provides both privacy and light to this beautiful entrance hall.